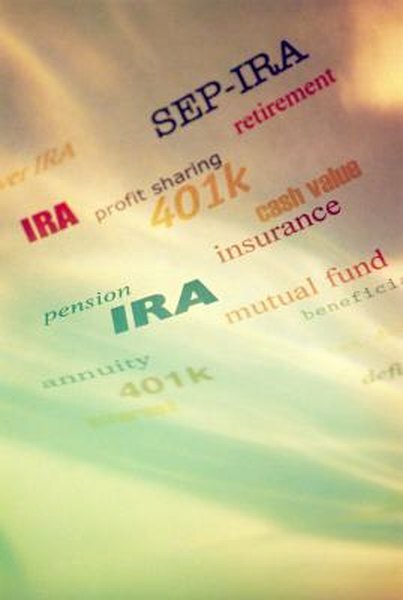 Your IRA should be viewed as a nest egg, not a source of short-term money. 3. Should I Close My IRA & Pay Down Debt With It? An individual retirement account is meant to be a long-term savings plan, not a source of immediate funds. To help encourage savings, the Internal Revenue Service imposes penalties on certain withdrawals. Taxes are also due on most IRA distributions. However, if you're an IRA owner and need money to pay off debt, you have the right to get that money from your IRA, if you're willing to pay the appropriate taxes and penalties. The money in your IRA is under your control. Unlike with some corporate-sponsored retirement plans, such as pension plans, you are free to do what you want with your IRA funds. If you take money out of a traditional IRA to pay debt, you'll have to pay ordinary income tax on your withdrawal, the same as if it were your salary or wages. The exception to this rule is if you have a Roth IRA, which provides for tax-free distributions in most cases. If you have reached retirement age, defined by the IRS as age 59 1/2 or older, you won't have to worry about additional penalties on your IRA withdrawals. Younger owners must pay a 10 percent surcharge on most IRA distributions, with few exceptions. Withdrawals to pay off debt do not qualify for an exemption. This penalty amount is in addition to any regular taxes. If your debt is of a certain type, you may be able to avoid the early distribution penalty of 10 percent, although you'll still be liable for the income tax. If you need money for higher education expenses or medical costs in excess of 7.5 percent of your income, you can take a penalty-free withdrawal for those debts. You can also take a penalty-free distribution for up to $10,000 of first-time homebuyer expenses. Certain other exceptions exist, such as if you become disabled or a qualified reservist. However, IRA withdrawals for most common types of debt, such as credit card debt, are not exempt from either early distribution penalties or taxes. If you just need a short-term loan to satisfy your debts, you might be able to take advantage of the IRA rollover provision to avoid both taxes and penalties. Once per year, the IRS will allow you to take money out of your IRA for up to 60 days tax- and penalty-free. If you don't get the money back into your account in time, your short-term loan will be treated as a distribution, with applicable taxes and penalties. Internal Revenue Service: Publication 590 -- Are Distributions Taxable?